This breakfast event gave valued Moncrieff clients and business partners an exclusive preview of the expanded Lenovo X1 ThinkPad range, prior to the Lenovo launch in several weeks time. 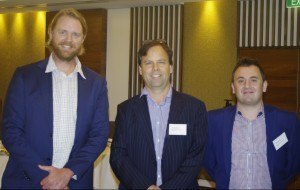 Attended by over 40 guests, the event took place at Crown Perth on March 22nd, 2016. The event was introduced by Matthew Moncrieff, Managing Director of Moncrieff Technology Solutions. 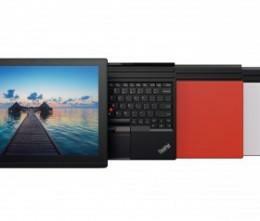 Wayne Geddis, Account Executive, Lenovo Australia led us through the expansion of the X1 range that now features a tablet with clip-on modules and the expansion of the line to desktop and convertible laptops. Patrick Hollingworth, Matthew Moncrieff & Wayne Geddis-Crown Perth, March 22nd 2016. As a special offering to clients and business partners, Moncrieff invited internationally acclaimed consultant and author Patrick Hollingworth to give a keynote presentation to the group. 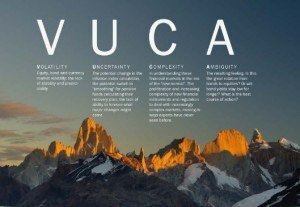 His presentation gave a context for the unprecedented change and VUCA environment that business’ are now operating in; one that is volatile, uncertain, complex and ambiguous. 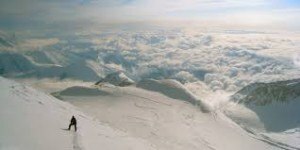 Offering valuable insights gained from his exploration in alpine mountaineering and a decade of experience in corporate consulting, Patrick proposed innovative ways to enable organisations to work light and fast within a VUCA environment. Patrick’s dynamic presentation found clear synchronicities with the lightness, mobility and durability of the expanded X1 range. His presentation led into an engaged and dynamic Q & A session that concluded the event. Huge thanks to Wayne Geddis and Patrick Hollingworth for leading us through this captivating event!